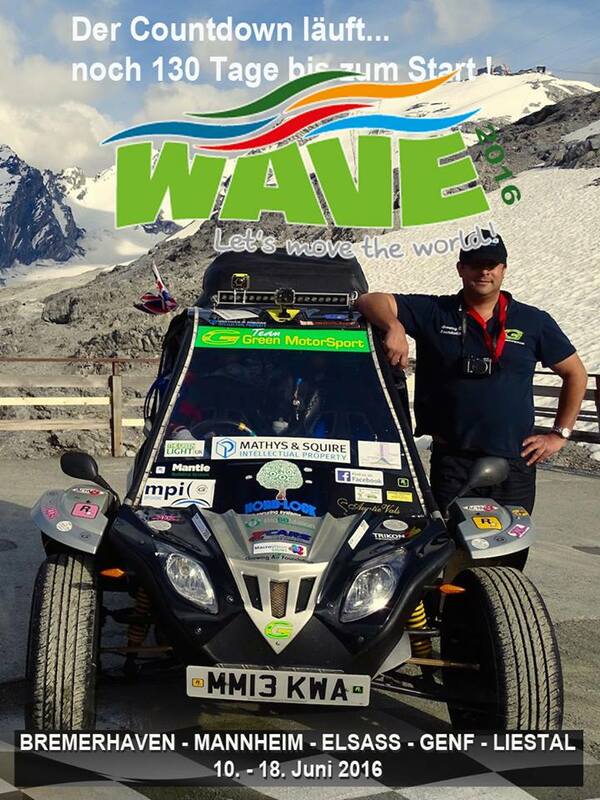 Green MotorSport is a member of the World Advanced Vehicle Expedition (WAVE), which every year drives around Europe powered by wind, sun or biomass energy. On the last WAVE, Gordon Foat drove his prototype service vehicle called the Tapir across 4,000 kilometers, including the highest point in Europe, powered by the sun. Prior to the WAVE Trophy EV Rally this year, there will be several WAVEs: the Pacific WAVE, the Indian Ocean WAVE, the Atlantic WAVE, the Mediterranean WAVE and the North Sea and Baltic Sea WAVE. This year Gordon will join a colleague in the drive from Bremerhaven to the United Nations in Geneva. The new C.E.M motor is rated at 14 kW continuous power output and when used with a 48V 550A cost effective AC motor controller can deliver peak power of 26 kW. The motor will deliver superb acceleration to 5000 rpm but its full range is 8000 rpm making single drive wheeled projects possible without a differential or extra costly gearing. The motors currently retail at £980, but there are reductions for larger volumes. Along with the motor we can supply first class control systems and batteries with battery and charger management, which have been extensively tested under arduous road conditions. 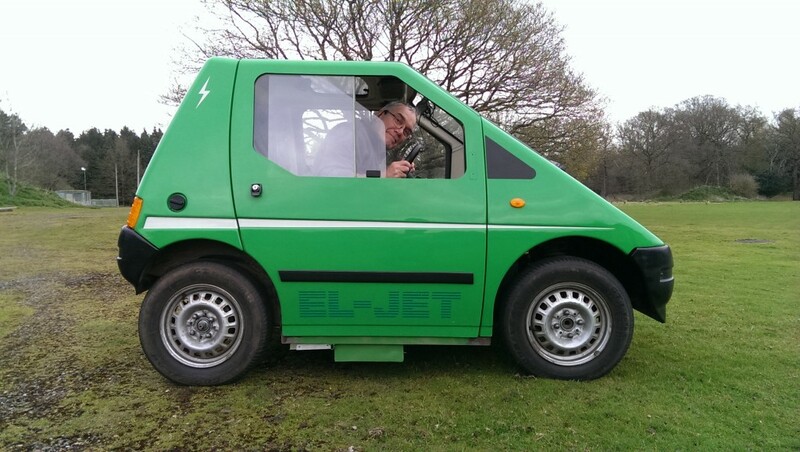 The Tapir prototype is ideally suited for urban and local driving, with a top speed of up to 50 mph and range between 50 and 100 miles, depending upon the battery size and application. The batteries are lithium phosphate and are easy to work with as the system voltage is only 48V. A full recharge takes 4 hours with our 3kW chargers but it’s well within the cell parameters to charge within 1 hour with a higher powered 3 phase device. 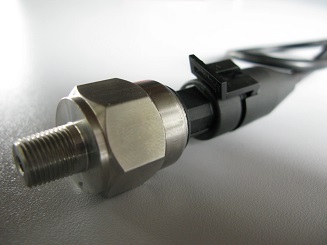 The technology is also suitable for use in electric taxis, minibuses, specialist vehicles, motorcycles and boats. Small Car Project Progress : Keith Ashford is currently installing our GMS CEM single motor drive train into the El-Jet car. 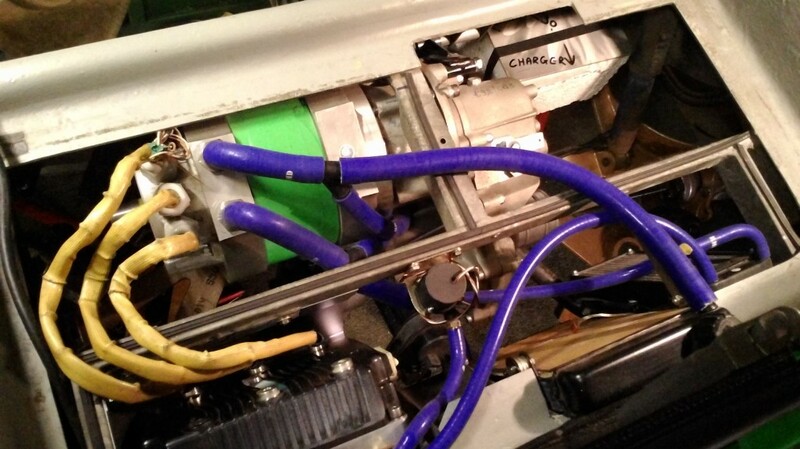 The car currently will have 400AH @ 48V giving an estimated range of over 100 miles with a charge time of only 4 hours. Top speed is estimated with the current cost effective gearbox and differential to be 55-65MPH using our CEM liquid cooled 4 pole induction motor. The AC motor controller is rated at 650A at 48V and is also liquid cooled. Potential power output is 31kW peak and continuous at 14 kW. 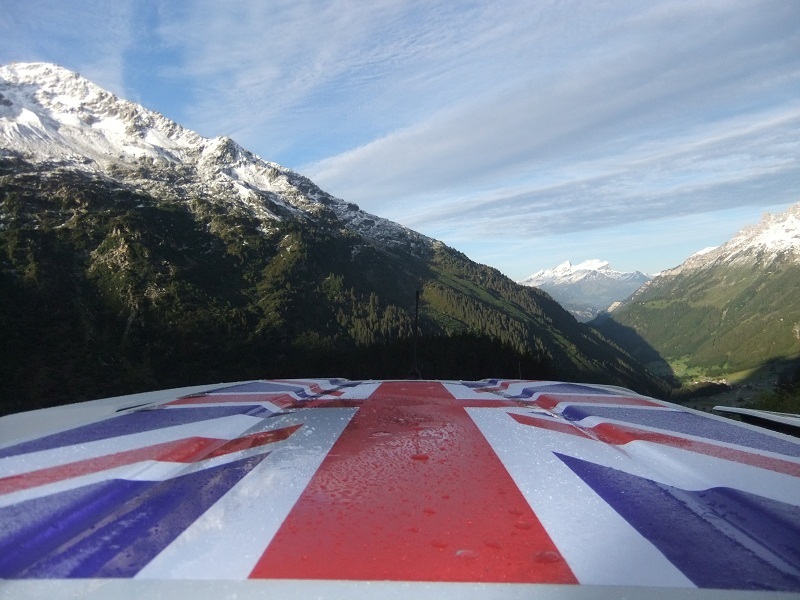 The cost effective gearbox/differential enables Keith to change gear for mountain climbing and for normal road conditions. 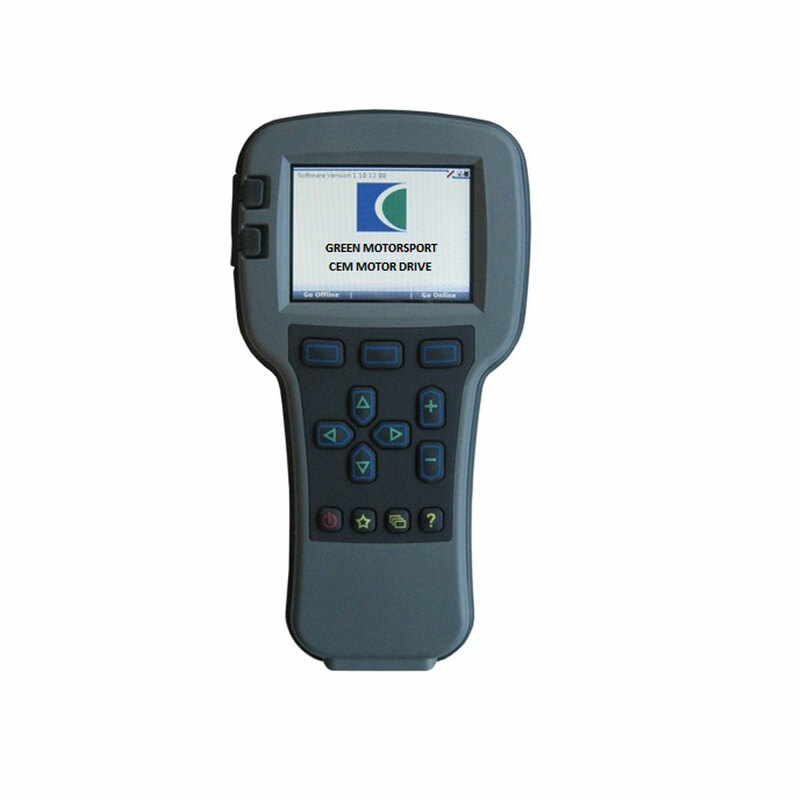 The Battery management system is a kit provided by Green MotorSport which includes a current clamp, remote bluetooth State of Charge display and all the battery voltages and distance calculations required to maintain a healthy reliable battery pack. The system is CAN BUS and can work with any voltage battery pack from 12V upwards. Green MotorSport is currently researching kit car companies to see if any of the products suit our electric drivetain packages. However, we are currently also working towards a cost effective chassis to combine all of our drive train technologies. WAVE Schools in Mombasa and Nairobi, KENYA from WAVE EARTH on Vimeo. A MILLION CHILDREN INVITED TO WRITE TO UN! The WAVE has introduced a special event, inviting a million children, to send illustrated cards to the United Nations, calling for global warming gases to be cut. The children come from around the world, many from low lying countries which would be the first to suffer from dangerous climate change. Schools are arranging for children to prepare their messages to the UN, and advanced electric vehicles, either cars or bikes, will collect the cards from the schools and drive them to local ports. Once they are in Europe a hundred electric cars will be employed in carrying them to the UN Headquarters in Geneva, where a huge mosaic will be laid out. A drone will be stationed above the mosaic, relaying the pictures to children all around the world. This service is free to schools, which will also receive helpful information about climate change and how to keep global warming to a safe level. There is an online lesson which explains that every person on earth will have to keep their carbon dioxide emissions below 3 tonnes per year if we are to avoid global temperature rise above 2°C. The first electric vehicle carrying the messages from children has already left Mumbai on its way to Geneva! 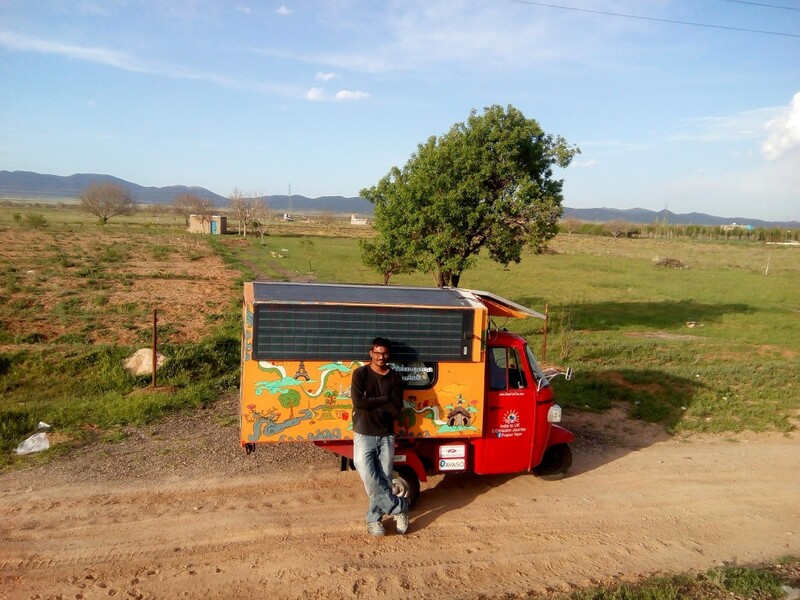 Naveen Rabelli is driving his solar tuktuk all the way from India to Europe, picking up even more cards in Iran, Turkey and Croatia. Naveen Rabelli’s progress map can be viewed here– Between now and the WAVE Trophy EV Rally starting on 10th June, children’s messages for the UN will be collected from other cities outside Europe, including Mombasa, Perth, Montevideo, Hobart, Singapore, Tunis, Durban, Odessa, Vancouver, Rio de Janeiro, San Francisco and St Petersburg. A short video outlining the causes and impacts of climate change and how each one of us can help to combat it is available from: www.wave.earth. If your school would like to join the WAVE climate Project and send your letters, please contact Gordon Foat of Green MotorSport if you are in the UK. Deadline to receive letters is 1st June 2016 to Green MotorSport HQ in Woking. WAVE School Byron Bay from WAVE EARTH on Vimeo. There is a great demand for service vehicles and small buses in developing countries and Green MotorSport can supply them with technology which is both efficient and cheap to run. Fuel costs can be kept low as the vehicles will be powered by local renewable energy. The low voltage makes it safe for vehicle assembly as well as safer for the drivers and passengers in the event of an accident. There is no need for a high voltage grid to transmit electricity for long distances, but low voltage facilitates the use of onsite DC electricity generation from wind, sun or marine energy. Maintenance is minimal and the whole vehicle is aimed at being recyclable, saving both costs and carbon dioxide emissions. 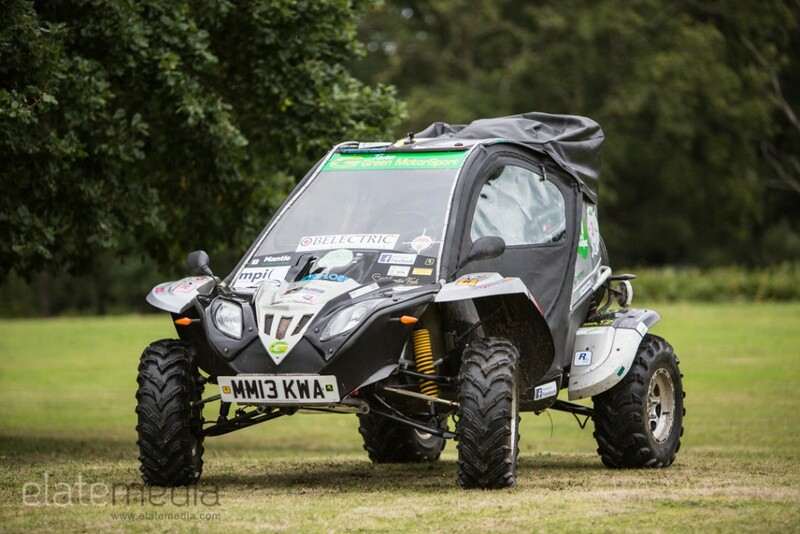 Green MotorSport’s battery management systems incorporate years of expertise, including journeys on some of the roughest terrain in Europe during the WAVE events. It is hoped that the agreement reached in Paris, where countries committed to doubling public funding for low-carbon R & D by 2020, will generate more support for engineers like Gordon of Green MotorSport, who have been working for decades largely on a voluntary basis. A report from the Grantham Research Institute entitled Climate Change Policy, Innovation and Growth finds that there is an imbalance between support for deployment and R & D measures across the European Union, with deployment outweighing R & D support by 150 to 1! European countries have been supporting technology deployment through feed-in-tariffs for renewable energy production rather than direct R & D funding, but this approach may not provide sufficient stimulus to develop the next generation of low-carbon technologies. Engineers aim to provide clean quiet transport in urban areas, where traffic pollution is responsible for much ill health. According to a landmark report by the Royal College of Physicians and the Royal College of Paediatrics and Child Health, entitled Every Breath We Take – The Lifelong Impact of Air Pollution, around 40,000 deaths are caused each year by outdoor air pollution in the UK. They recommend alternatives to cars fuelled by petrol and diesel and more walking, cycling and use of public transport. They say that air pollution also plays a key role in the process of climate change which poses a major threat to our health. Life in the oceans is suffering from carbon dioxide emissions as the water becomes warmer and the carbon dioxide increases acidification. Since the Climate Change meeting in Paris resolved to hold the global temperature rise to 2°C and preferably 1.5°C, several reports point out that sea levels could rise by much more than the projections of the UNFCCC. In the past sea levels were several metres higher when global temperatures were less than 2°C above the pre-industrial level. Dr James E Hansen, who first drew the world’s attention to the danger of global warming in the 1980s, is one of the authors. His granddaughter is one of the young plaintiffs in a continuing legal battle with the United States Government for violating their constitutional rights by allowing fossil fuel burning. Lakes, rivers and canals will also be cleaner and quieter places to enjoy as the change is made to efficient electric motors. 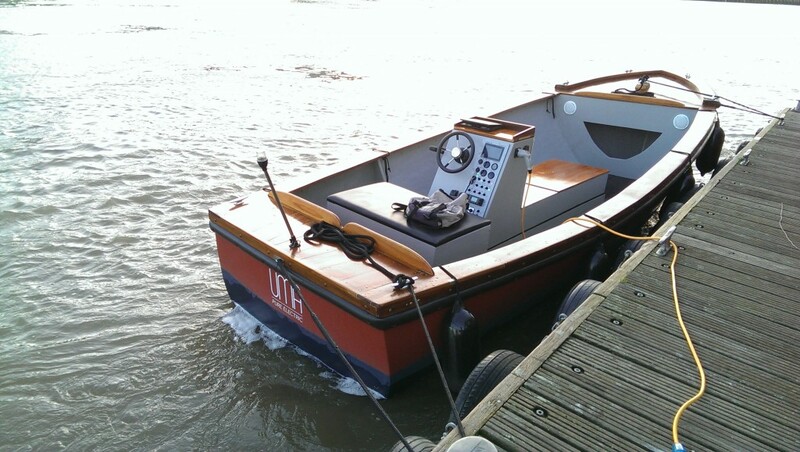 Green MotorSport and colleagues have launched a boat on the River Thames in London called UMA and they have also provided the drive train for a canal boat. 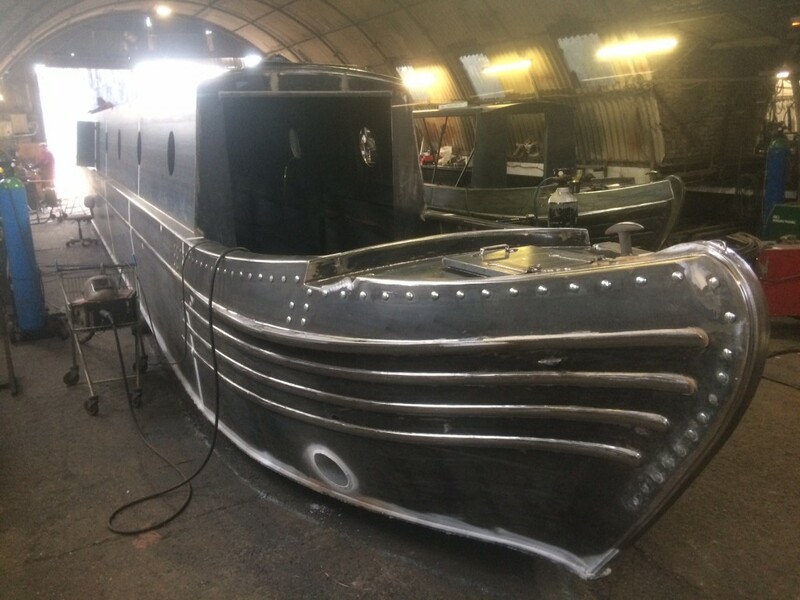 The boat is 58 feet long, 15 metric tonnes, semi traditional narrow boat, built for long term living, According to Kevin Farr the boat’s owner, the date of launch is scheduled for 2017. Whether you want to change to clean, renewable power for road vehicles or boats, Green MotorSport’s high quality electric drive trains provide practical, cost effective alternatives.